How did camp life change the prisoners as a person? A family? And relationships with other human beings? The camp life changed the prisoners a lot because they aren't religious as they were before and they would were lying about everything so they can stay alive longer. In the book Night Elie Wiesel was a person who was religious and loved his family but then when he came to camp he wanted to be next to his dad all the time but when his dad is taken away to the crematory and he was kind of happy he was gone so he would be able to move faster and not have his dad slow him down. 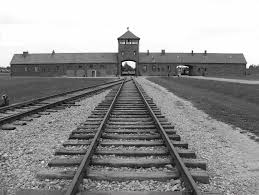 In Night Elie Wiesel is taken from his home and is taken to a concentration camp called Auschwitz. 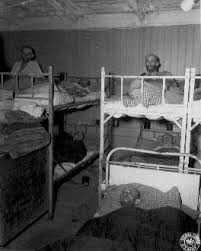 This is were the prisoners had to sleep in the camps.